To withdraw money without credit or debit card, the user must first activate the Wallet feature in the phone using the Apple Pay app. After which transaction can be done using Near-Field Communication (NFC) technology. At the ATM for NFC transaction, one chip will be installed, through which all transactions can be done. 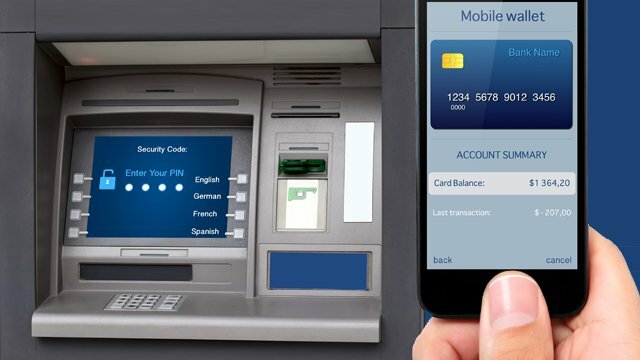 In this era of mobile payments, Cardless ATM is currently in the US, hopefully this facility will soon be available in other countries including India. Most people today the pay bill or pay with the help of the payment app. Apple Pay users can get money from ATMs without any debit or credit card help. This facility has been provided to customers in about 5000 Wells Fargo ATMs in the US. Even if you have forgotten your purse at home, with this new feature help, you can easily withdraw money from the ATM without any problem. Just for that, you have to keep the smartphone with you. In this rapidly changing era of technology, the smartphones placed in pocket are connecting everything around us. Now people can easily withdraw money in ATMs by placing smartphones in their pocket.